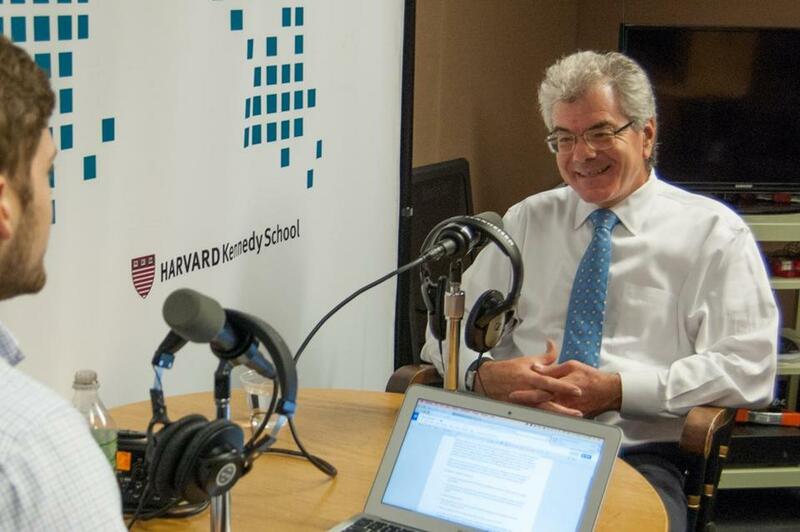 Dr. Gary Samore discussed the Iran nuclear deal with the Harvard Kennedy School PolicyCast. The Boston Globe presents the Harvard Kennedy School PolicyCast, a weekly podcast on public policy, politics, and global issues. HKS PolicyCast is hosted by Matt Cadwallader at Harvard Kennedy School. After nearly two months of intense scrutiny and political maneuvering, we now know that the historic agreement to restrict and monitor Iran’s nuclear program will survive Congress — at least for the time being. To help answer that question, we spoke with Dr. Gary Samore, President Obama’s former principal adviser on arms control and nuclear proliferation. Samore left the White House in 2013 and is currently the Director for Research at the Belfer Center for Science and International Affairs at Harvard Kennedy School. Although not perfect, Samore believes the deal is worth supporting. The biggest downside he points out is the “gamble” the group of world powers known as P5+1 is taking on what will happen in 15 years when the agreement expires, especially given the advancing age of Iranian Supreme Leader Ayatollah Khamenei and the lack of an obvious successor. Samore goes on to explain what concessions he’s most concerned about, why he’s not overly concerned about Iran’s ability to parlay a better economy into more regional power, how the deal will affect future relations between the United States and Iran, and how the US can allay the fears of its allies in the region. And for those celebrating the fact that opponents in Congress were unable to shut the deal down, Samore has a word of warning. You can read more about the nuclear agreement in “The Iran Nuclear Deal: A Definitive Guide,” published by the Belfer Center and edited by Samore.